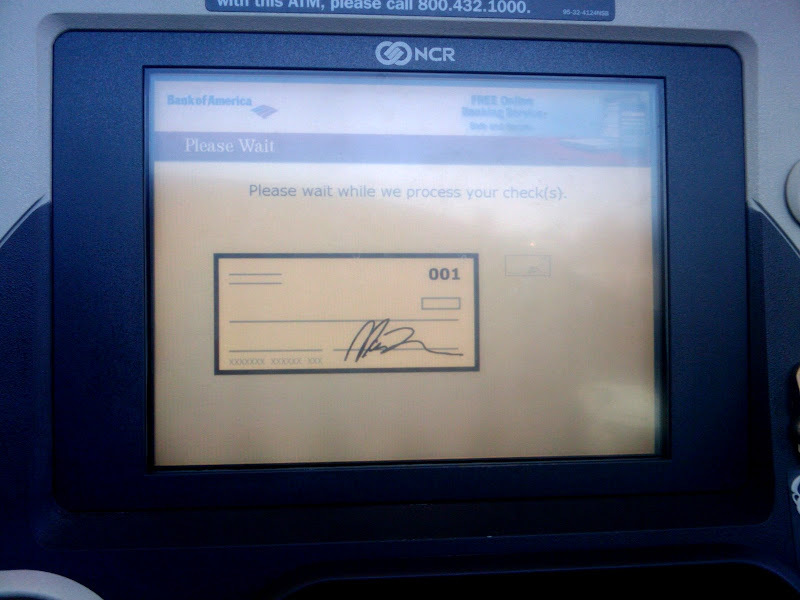 @miceyj: soo umm I pulled up to the drive thru ATM & saw this..
Finding an ATM that appears to have taken so long processing the previous user's deposit that they gave up waiting and abandoned the machine gives me reason to not put much trust in the device. At least it isn't displaying any information about the previous user or their account. However, if this processing ever does complete, will whomever comes across the machine have access to the previous user's account?